Happiness and Joy Rejuvenates hope and Faith. 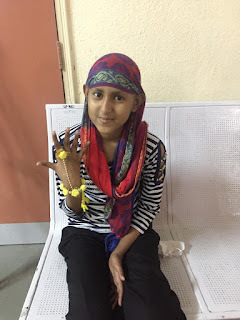 The Main goal of V Care is not only to help, counsel, fund the cancer patients, but also to make them forget their dreadful disease for a bit and enjoy the little things in life. 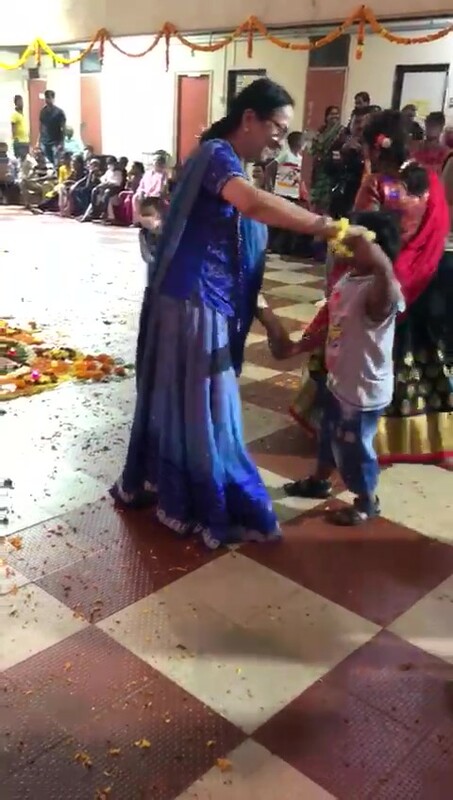 To fall in line with the festive season of Navaratri Utsav, V Care put up a grand show of Dandiya Rass at ACTREC Khargar on the 13th of Oct 2018. Around 230 patients, caregivers, doctors, V Care volunteers, hostel administrators took part in the event. A well organized and well conducted event under the able leadership of Ms. Geetha Hegde, and ever enthusiastic V Care team. Patients and caregivers from Vasundhara Hostel & St. Jude's along with the hospital and hostel authorities participated in the event..
V Care volunteers are experts in making the event colorful and bright. Uma, Laxman, Raju and Ramesh made garlands of Marigold at the V Care office and decked the venue with bright yellow color. Bangles of flower for girls and colourful bandanas for boys !! doesn't it look professional? No Indian festival is complete without colorful Rangoli. Here at this venue,Vasundhara Hostel, the Rangoli had so much meaning for Ms. Sheena, Ms. Seema, Ms. Nidhi and Ms. Suvarna who are caregivers to BMT patient. The time they spent in doing Rangoli for sure must have given them immense joy from their mundane routine. Event started with the V Care volunteer & core-committee member, Ms. Sangeeta Kakadia, introduced the event to all the participants. 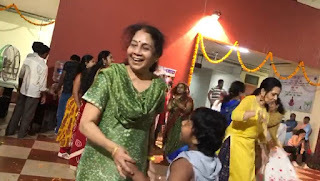 V Care volunteers--Ms. Aruna Lokhande, gave a brief introduction of V Care, followed by Ms. Nisha Khosla who sang the soulful aarti inviting Goddess Durga to bless everyone present there. Ms. Anita Mital, explained the significance of the 9 days of Navratri. Sangeeta further introduced the volunteers who go to ACTREC thrice in a week to meet the patients and informed about the Dandiya event. Patients and caregivers lived every moment of their happy and joyous times and tapped their feet to the music. Teaching and learning happened spontaneously. Those who didn’t know dancing learnt from those who knew how to dance. First session was a warming up session which lasted for continuous music for 20 minutes. Second session was a competition and winners were selected and gifted a small token of love. Best Male, Mr. Abhay Vyas a sarcoma survivor. Best Child Master Hussain (under treatment) from St. Jude's. 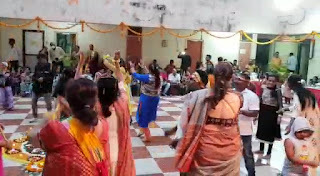 Volunteers entertained the gathering with their dance and people around cheered them by throwing flower petals on them. Nothing can be more satisfying for a doctor to see his patients enjoying the fun and looking cheerful. Dr. Navin Khatry and his team of doctors, joined in for a short time. It was a break from their monotony too, doctors happily swayed for music and joined the dance floor. Dr. Khatry appreciated that V Care, year after year, organizes these fun events for patients and he mentioned his happiness in seeing his patients enjoying thoroughly. In fact, such events rejuvenate their hope and help them focus on coping with the disease. It takes two hands to clap! It took two volunteers to make an evergreen memory ! Ms. Parita Gandhi and Ms. Alka Desai managed the photo booth. All the patients had their photos taken and the impact of this is for generations to come. A photo from here with their loved one will go a long way. Unforgettable memory stored in their hearts and its physical form in their pictures. The whole atmosphere was lively, colorful and full of energy. Fun and laughter of the place filled the air with so much thankfulness and gratitude because for a couple of hours they were transported from their grueling routine of injections, medicines and queues in the hospital. Our Volunteer Ms.Meenakshi proposed vote of thanks. It was true as everyone present felt thankful for the joyful evening. Life is but a water bubble, it is not for the patients alone it is for all of us, so much happiness and joy shared in such events make life more meaningful for both the parties involved. Such events encourage V Care team to do more of such events with zeal. From No where to now here! 'Just one small step' Journey into the world of the unknown. Yes! I started alone. The cancer care journey was typically from the point of no where! Questions galore! what if I ....... was a constant nagging thought, Then the heart ticks to proceed and the mind goes quiet! Just one small step towards my dream. The compassion and empathy are the basic building blocks that gave courage to move ahead, face challenges and squash the obstacles. It is the team that came along together, taking countless steps. A travel started had many speed breakers and dead ends. But always V(we) paused and found solutions , brain stormed that resulted and results in new goals and new ideas at VCare but never called it a day. Diwali Dinner Dhamaka-VCare Does it again!!! Diwali Dinner Dhamaka follows Dandiya night!!! Celebrations Galore in VCare for patients and people ! A whole chilled out evening. 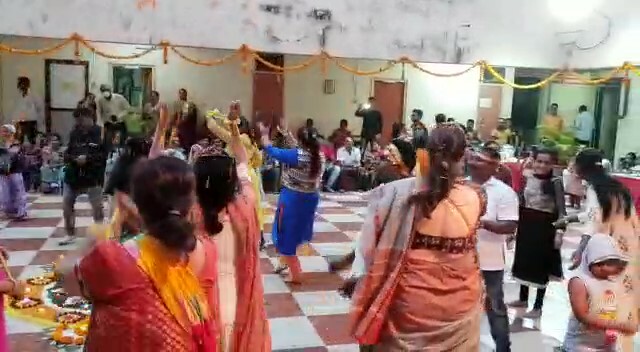 300 oddcancer patients and a few volunteers from VCare were together to eat, dance ,laugh and make merry celebrating festive season in continuance with Dandiya night. 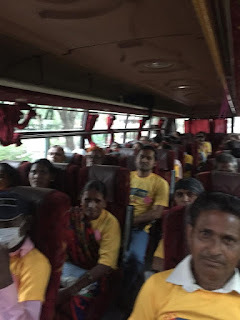 VCare took their patients from Actrec to the Village resort in Radhaleela mall Vashi. The restaurant owner Mr Bassi hosts this event year on year and feeds the patients in memory of her mother who was a cancer victim .